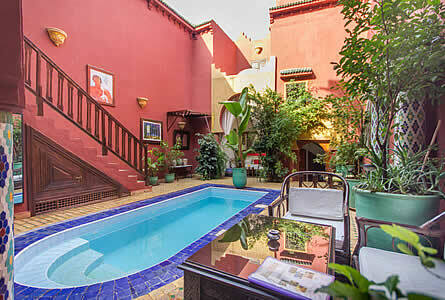 At 12 minute walk from Jemaa El Fna, Riad Ghita offers patio with a seating area, fountain and swimming pool. This traditional Moroccan house also features a terrace with a dining area and free Wi-Fi access. The air-conditioned rooms at Riad Ghita are decorated in a traditional Moroccan style. They feature a seating area, individual heating and a private bathroom with shower and toilet.